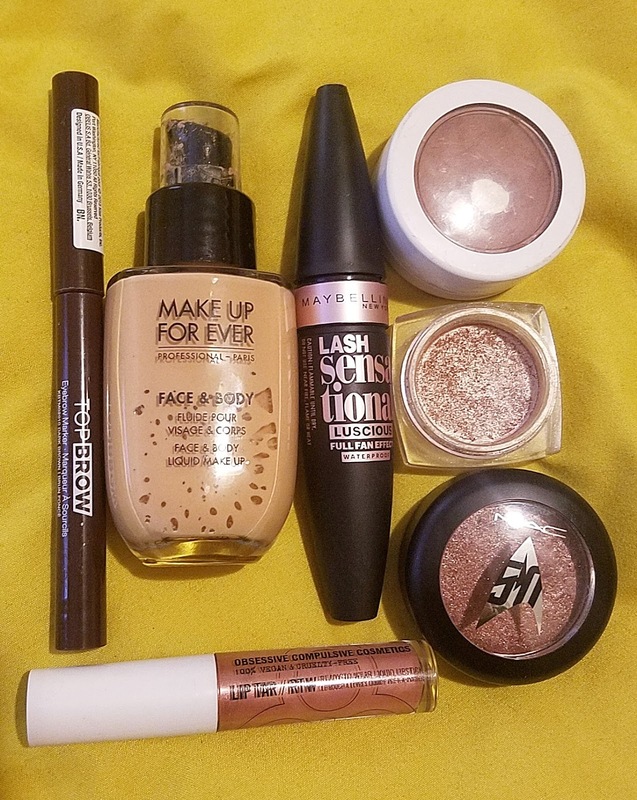 I was going for soft and monochromatic so I went ahead and applied L'Oreal Infallible eye shadow in Amber Rush all over my eye lid. You guys, this is one of my favorite eyeshadows, it's a beautiful rose-gold. After that I applied MAC Pressed Pigment in To Boldly Go closer to the lashes and bottom lids. I then followed up with MUFE Water Blend foundation (which feels so light on the face! 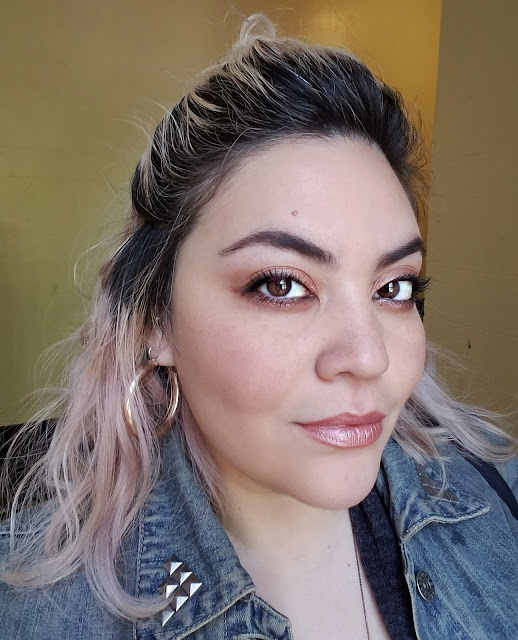 ), and then ColourPop Aphrodisiac tapped on the cheeks. Wanted to keep brows nice and easy so I lightly filled in using Kiss NY Top Brown, which is a marker style brow product. Finished up with mascara and OCC Lip Tar and I was out the door. I'm not kidding, I think I spent no more than 10 minutes. I wanna know, are you YAY or NAY on using brushes?